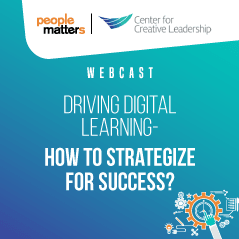 Event: Driving digital learning – How to strategize for success? Driving digital learning – How to strategize for success? Digital learning is one of the most widely adopted modes of learning today. Unlike class room learning, it is premised on self-learning with an ‘anytime, anywhere’ interface. One study showed that switching to digital learning saved companies on average 50%- 70% of their training costs. It saved 40% to 60% of an instructor’s time. 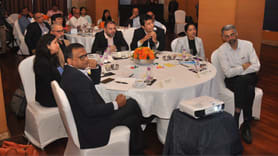 But a principal challenge that HR professionals face is driving adoption. So how can companies plan for success? Technology today is changing not only businesses and consumers but also how organizations are organizing themselves and enhancing workforce productivity. This webinar will focus on how technology is changing the game in learning & development in organizations. How has learning & development function transformed over the last 2-3 years? What role has technology played in learning transformation? What are the six strategies for digital learning success? How can organizations apply these six strategies? What are some of the examples to learn from?